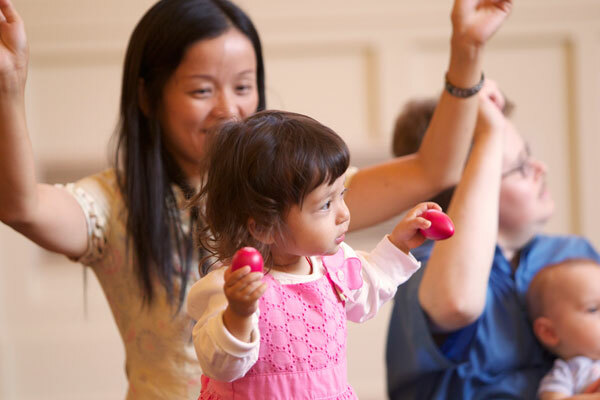 If you’ve been taking Music Together with your child for a while (or even for a semester) you have probably heard that we like our classes to be as much of a “musical sanctuary” as possible. That means that from the moment you enter class until the moment you leave – whatever needs to be said should be sung! During this Halloween class after one of our upbeat songs I went into the Tonal Patterns for class. Tonal Patterns are the little bits of notes we sing after we finish our song. 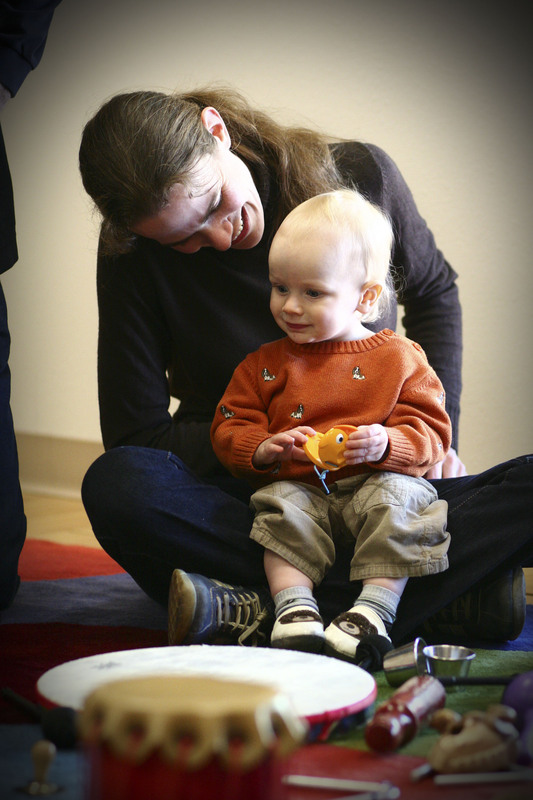 These Tonal Patterns provide “building blocks” to help the children organize the song in their brains – after the song is over. It’s like a Follow the Leader singing game. You also hear them on your CD. But it didn’t work in this class. Why? So I asked everyone to be very silent. Then we tried again. We sang a little more of the song and then seamlessly (silently) moved into the Tonal Patterns. What happened then? We heard in the silences between each Tonal Pattern a smattering of tots attempting to replicate the notes: “buh, BA, Baaa;” something that didn’t happen while there had been a lot of talking after the song. I could see the smiles of recognition and even surprise on some grown-up faces. Such a gift. We chat, gab, and yak all day. There’s time enough for that. Now let’s sing… and then listen…who knows what might happen next.